Everything you need to launch YOUR career as a 19th century body snatcher – the Mysterious Chicago way! Featured in the Chicago Tribune, DNAinfo Chicago, Time Out Chicago, and more! Believe it or not, it’s our most popular tour! Before Lincoln Park became a park, it was known as City Cemetery – and they had a HUGE problem with grave robbing. Chicago had a number of medical schools, and they were always in need of bodies. Doctors couldn’t be trained without them. Stories of grave robbers preying on the grounds were common – even the official cemetery manager got in on the act! Indeed, the City Cemetery was a regular smorgasboard for grave robbers – medical schools had a “no questions asked” policy, and a body could make a grave robber as much as he’d make in a month in the coal mines. GRAVE ROBBING 101 shows relics of the City Cemetery throughout Lincoln Park (including a “tomb snooping” demonstration), tells stories of the grave robbing that took place right in the park, while teaching tricks of the trade, vocabulary words, and important lessons that every aspiring body snatcher needs to now. The tour meets at North Ave and N. Clark Street, outside of the Chicago History museum, and covers about a mile and a half to two miles of ground over the course of 75-90 minutes. Small portions are off the pavement, but it’s an easy walk. (Please note: we are not affiliated with the Chicago History Museum). 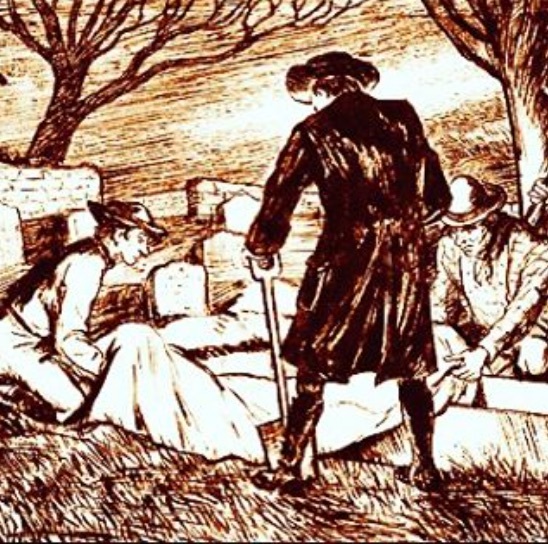 Public “Grave Robbing 101” tours are offered seasonally; private tours any time.See the sidebar for current public offerings; if you have at least three people, a tour can often be added at a custom date, pending schedule availability. Email adam@mysteriouschicago.com with dates and requests! See articles from “Grave Robbing Week” on the Mysterious Chicago Blog.